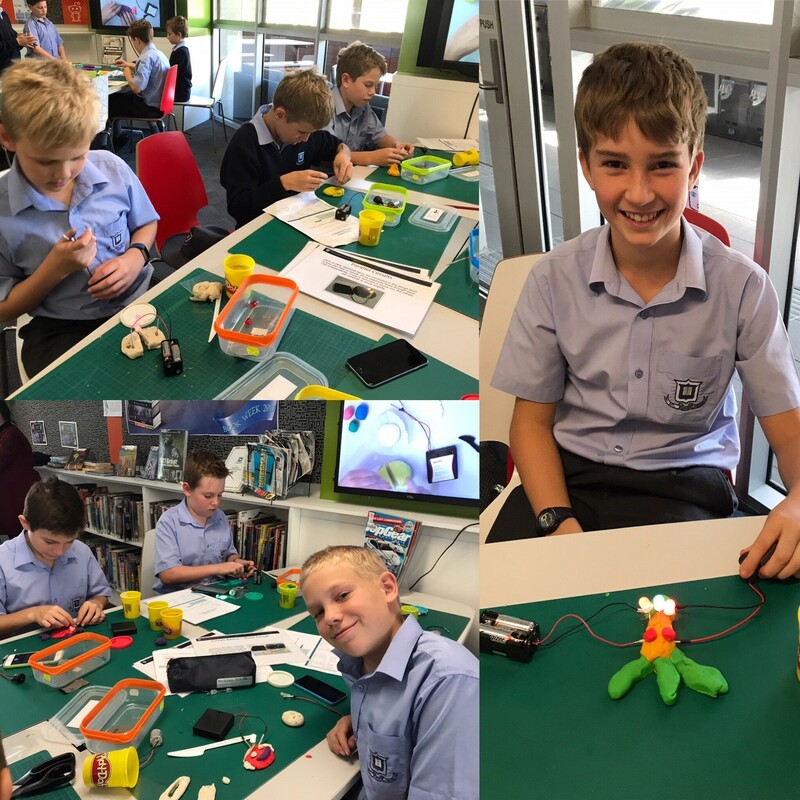 This week the Centenary Library Staff – Ms Dani Smith Teacher Librarian, David Hills Library Technician and Mr Brendan Kelly – Digital Media Officer, provided a great STEAM experience for the year six students through an encounter with “Squishy circuits”. 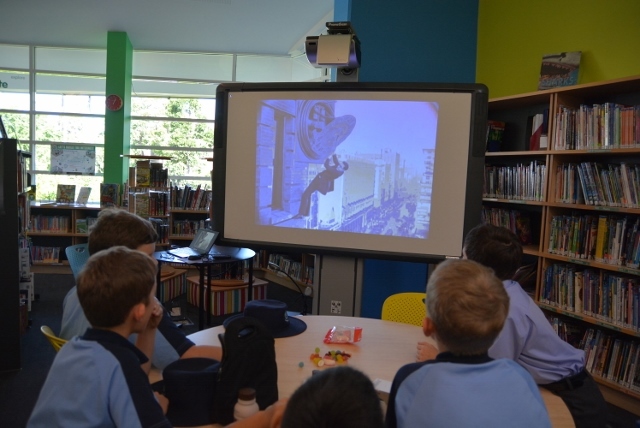 All year six classes were treated to this as part of their science program. 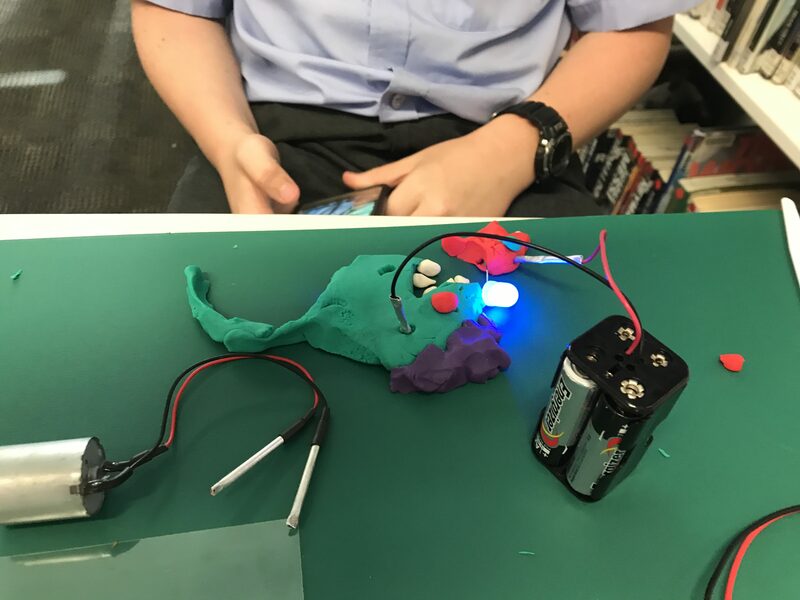 Squishy circuits are working electrical circuits assembled from coloured playdough, battery packs, light emitting diodes, insulating film, small direct current motors and switching elements. They can be put together in a million conceivable ways and with a little luck, lights can switch on and motors spin. 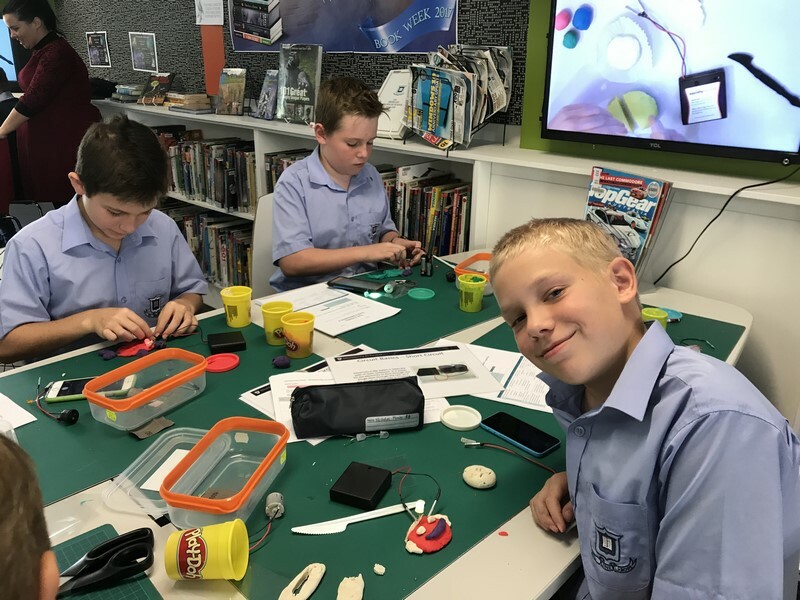 The lessons began with Ms Smith taking boys through the concept of serial and parallel circuits, safety matters, the details of diodes and the way currents work in the type of conductors that were being used. The boys listened attentively and then began the process of creating a squishy circuit to their very own design. It was amazing to see the creativity unleashed. 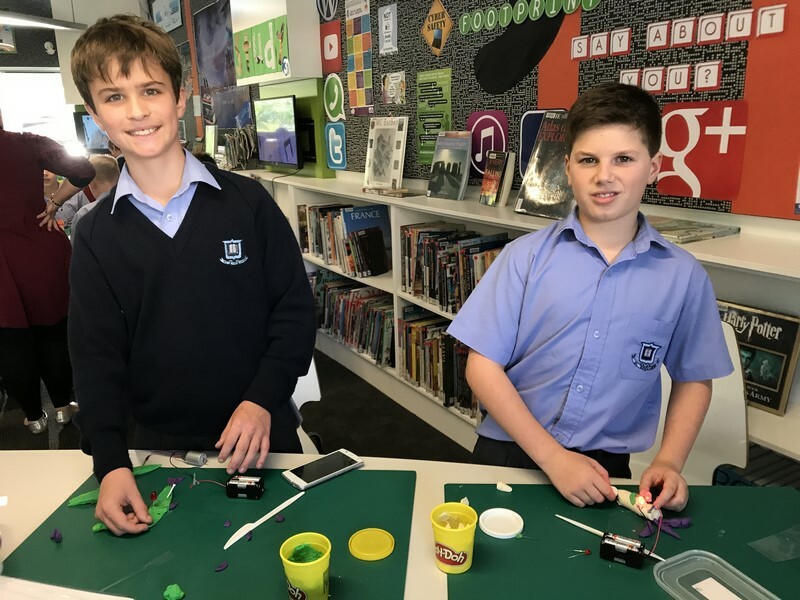 In a very short time, boys had made a whole variety of animals, dinosaurs, curious creatures and much more, all with glowing eyes and spinning propellers. Some had the look of a strange biplane, while others were more like sea creatures from the depths. 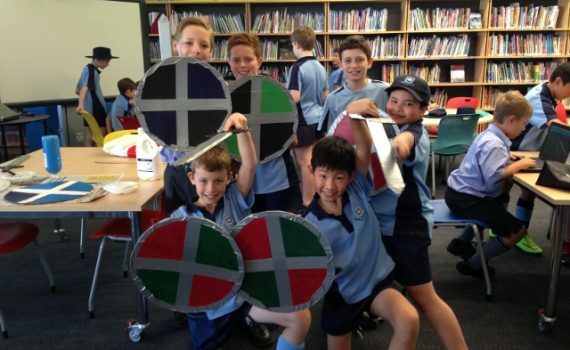 A feature of each class was how different the creations were between classes and between boys. No two were alike. 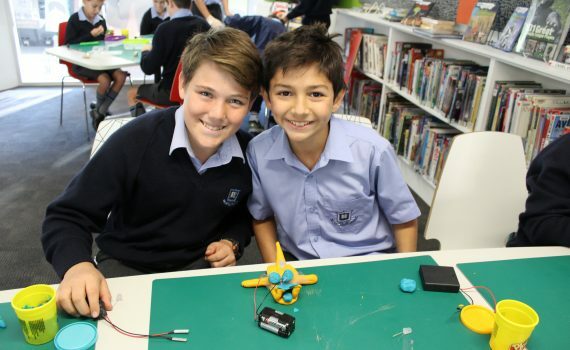 One or two circuits posed problems, but boys persevered until they fixed those problems. The other striking feature of the Squishy Circuit classes was how busy and productive the boys were. 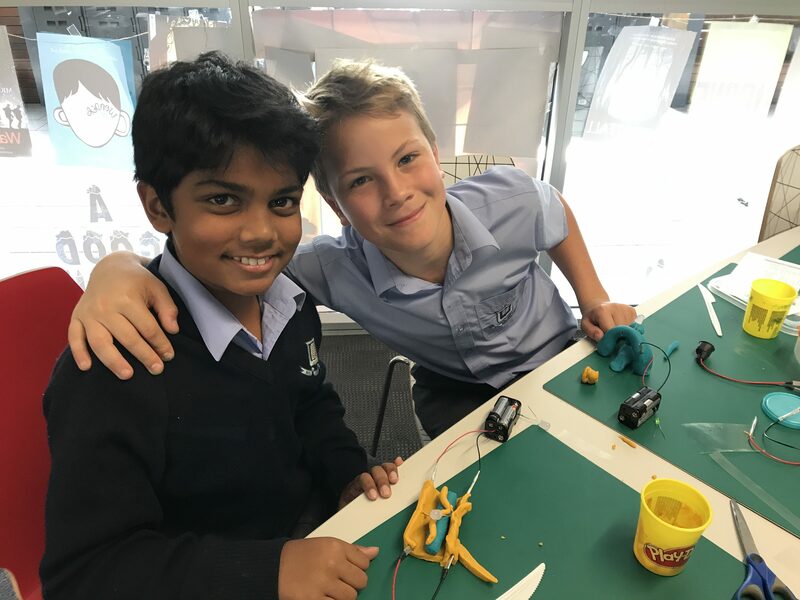 Although every boy was working on his own creation, generally there was plenty of advice and help offered across each table. Boys worked cooperatively, even though it was an individual task. For people who leave the “A” out of the STEM (Science Technology Engineering and Mathematics) pedagogy movement, events such as the Signature Program should give them reason to reconsider their position. The “A” artistic aspect can be part of STEAM in a wholly natural and constructive manner. 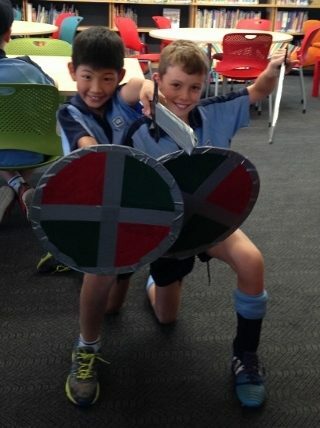 Boys move from the technical to the creative side of activities in a totally relaxed and natural manner. The tasks are both practical and artistic in an integrated environment. 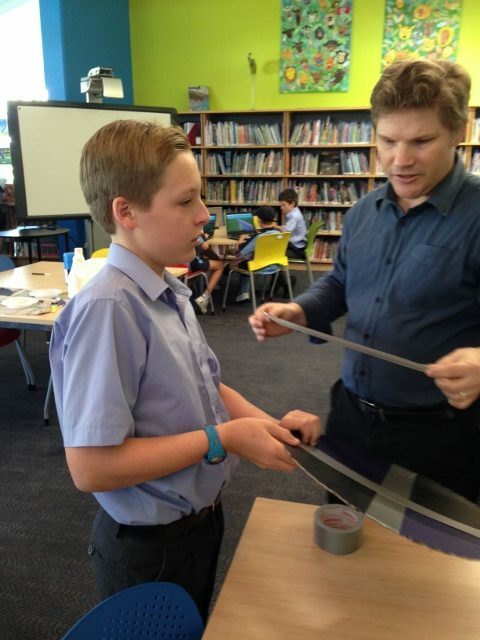 The many boys who enjoyed their Squishy Circuit experience should think about joining Brendan Kelly’s Lunchbox Club. It happens every Thursday lunchtime in the Centenary Library. See the Grammar Library website for details.